You have probably have already heard about the amazing benefits of apple cider vinegar. If you are not fond of buying a new bottle all the time, then you may want to make it. You might be surprised to learn that you can easily make apple cider vinegar for cheap. The best part about being able to make apple cider vinegar for cheap is there is almost no cost. 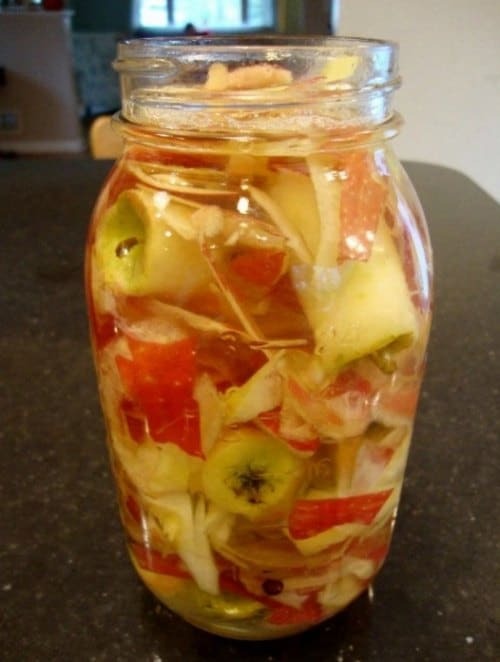 You can do this without much effort by using a mason jar and some apple scraps. Fermentation is what makes a batch of vinegar that you can use for many different applications. You can easily make apple cider vinegar for cheap with a few basic ingredients. The apple scraps will be one and you also need some honey. Water is also needed for the fermentation process. Expect to wait about five to six weeks before your vinegar will be potent enough for you to use.